PARIS, 28 May 2018 (IBIB) – The Most Venerable Thích Quảng Độ, Fifth Supreme Patriarch of the Unified Buddhist Church of Vietnam (UBCV) issued his annual Message on the Anniversary of the Vesak (Birth of Buddha). Vesak Day, the most important event in the Buddhist calendar, is celebrated on the 15th day of the 4th Month of the Lunar Year, which falls on Tuesday 29th May 2018. 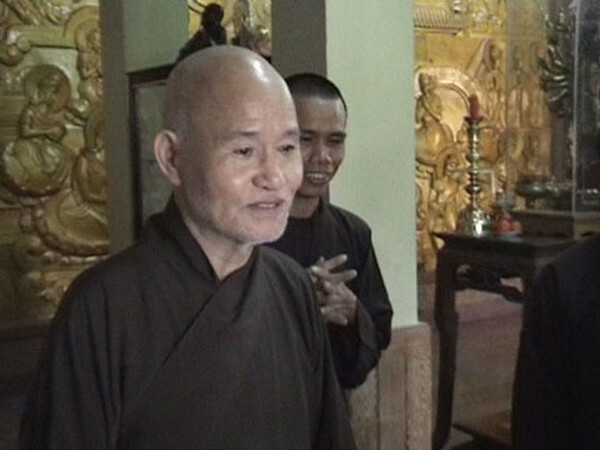 The UBCV Patriarch, who turns 90 this year, sent the message from the Thanh Minh Zen Monastery in Saigon where he is under house arrest. Despite decades spent in detention, deprived of adequate medical care and under constant surveillance, Thích Quảng Độ remains a symbol of the nonviolent movement for religious freedom, human rights and democracy in Vietnam. In his Message, Thích Quảng Độ quoted UN Secretary-general António Gutteres on the relevance of Buddhism in today’s world: “From peace, to climate change, to human rights, we see how much the teachings of the Buddha are so relevant in the work of the United Nations today. Now more than ever, Buddhist communities and all of us must give every day meaning to the Buddha’s message of tolerance, empathy and humanism. We must resist those who seek to twist a call for love into a cry for hate”. In Vietnam today, he wrote, “the UBCV is repressed so harshly that its future hangs by a thread” and its members “live in an unbearable state of insecurity, oppression and poverty”. Indeed, followers of the UBCV, which is not recognized by the communist authorities, suffer daily, insidious repression including harassments and intimidation (i.e. that they will lose their jobs or their children will be expelled from school) if they continue to frequent UBCV pagodas). In this repressive climate, the UBCV cannot hold large gatherings or religious celebrations. 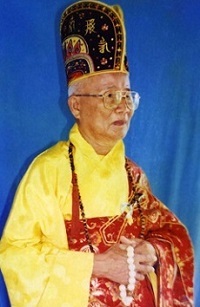 To keep Buddhism alive, therefore, Thích Quảng Độ urged each Buddhist to heed the lesson of the “Inexhaustible Lamp”: “Every Buddhist who studies the Dharma can bring its teachings to hundreds of thousands of others, who in turn can guide countless more towards enlightenment, without limit. Thus, like one lamp that lights up multitudes of other lamps all over the earth, ignorance and darkness will become bright. The Golden Light of the Dharma will be limitless and never be extinguished”. Blessed be Lord Sakyamuni Buddha ! “The Buddhist world view teaches us to see ourselves as a part of this world and not as its masters. And Buddhism’s emphasis on non-violence stands as a powerful call for peace. From peace, to climate change, to human rights, we see how much the teachings of the Buddha are so relevant in the work of the United Nations today. Now more than ever, Buddhist communities and all of us must give every day meaning to the Buddha’s message of tolerance, empathy and humanism. “We must resist those who seek to twist a call for love into a cry for hate”. The Golden Light of the Dharma shines throughout the realms of ignorance, violence, conflict or extremism, to awaken people’s consciousness to fraternal love, and deliver them from delusion and craving. 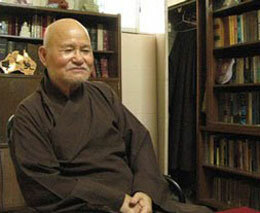 Today, Buddhists in Vietnam live in an unbearable state of insecurity, oppression and poverty. The Unified Buddhist Church of Vietnam is repressed so harshly that its future hangs by a thread. Yet because we are deeply impregnated with the teachings of Compassion and Absolute Wisdom, we are not pessimistic or despondent. The Buddhist follower sees the harsh reality and transforms it into a reality of happiness and well-being. With the precepts of Great Courage, Great Power and Great Compassion, Buddhism has the capacity to transform countries fraught with violence or terrorism into peaceful and tolerant societies. Every Buddhist who lives according to the five precepts and ten good deeds is like an Inexhaustible Lamp. A lamp that transmits the doctrine of supreme enlightenment to infinity. Every Buddhist who studies the Dharma can bring its teachings to hundreds of thousands of others, who in turn can guide countless more towards enlightenment, without limit. Thus, like one lamp that lights up multitudes of other lamps all over the earth, ignorance and darkness will become bright. The Golden Light of the Dharma will be limitless and never be extinguished. This is the dharma of the Inexhaustible Lamp, which I urge all monks, nuns and Buddhist followers, at home and abroad, to practice in your daily lives, whatever the circumstances and wherever you may be, in order to repay your debt of gratitude to the Buddha. I call upon you all to increase your spiritual progress, practice Buddhism diligently and use the Six Principles of Harmony to resolve all conflicts and division, so you may build a bright new future for Buddhism and our country, Vietnam. On this sacred Vesak Day, let us all observe a moment of silence in memory of all those who have sacrificed their lives and liberty to defend our people’s freedom and protect our faith. Translated by the International Buddhist Information Bureau, Paris.